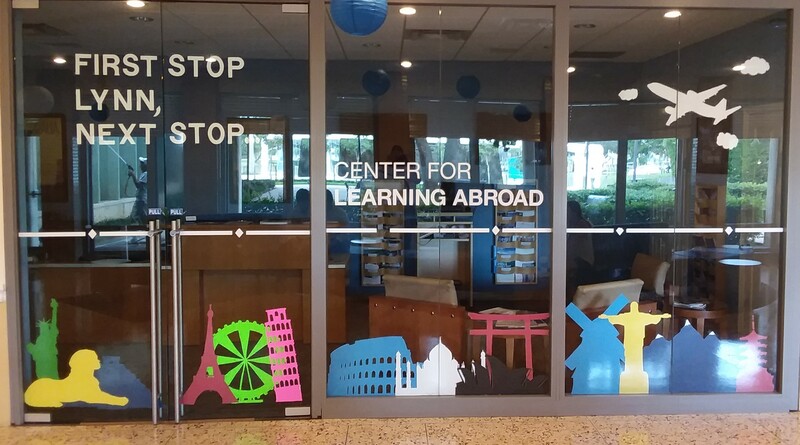 The Center for Learning Abroad (CLA) creates opportunities so that every Lynn University student has the chance to study abroad while at Lynn, whether the program is during J-term, the summer, for a semester or for an academic year. Lynn University fully recognizes that we live within a globally interconnected world, both socially and economically, and that study abroad opportunities can be an important part of the overall collegiate learning experience. There is a wide variety of programs available to Lynn University students including those led by Lynn faculty. The CLA pre-approves all programs before they are made available to Lynn students in terms of their academic rigor; for health, safety and security; and in terms of student life and support services. The CLA is open daily and is located in the Lynn Student Center, on the main corridor entering the dining commons. Experienced study abroad advisors are available to discuss program details and how a student can coordinate their preferred learning abroad experience into their academic plan.